May 6, 2015 - TheUrbanMusicScene.com | Concerts & Festivals! The 9th Annual Salem Jazz and Soul Festival | Aug. 15th-16th, 2015 | FREE ADMISSION! PRLog – April 29, 2015 – SALEM, Mass. 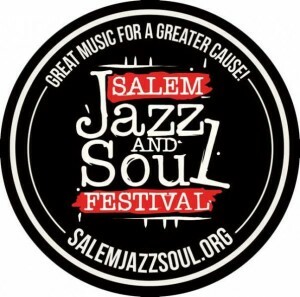 — The Salem Jazz and Soul Festival will begin its 2015 SJSF/Berklee Summer Series in Derby Square, Salem, on Saturday, May 9, with a concert featuring The Yellowjackets, a band made up of current Berklee College of Music students. The free show will take place from 5 to 7 p.m. and will feature an educational interview about music and the Berklee experience. Monterey, Calif, June 4, 2015; Single Day Arena and Grounds Tickets for the 58th Annual Monterey Jazz Festival, September 18–20 go on sale Friday, June 5. Tickets can be purchased online at montereyjazzfestival.org or by calling 888.248.6499. The Festival features 500 artists, and nearly 100 performances from iconic and emerging jazz artists, educational events, conversations, and exhibits on eight stages, for 30 hours of live music spanning two days and three nights, accompanied by an array of 75 vendors selling international cuisine and merchandise on the oak-studded 20 acres of the Monterey County Fair & Event Center.